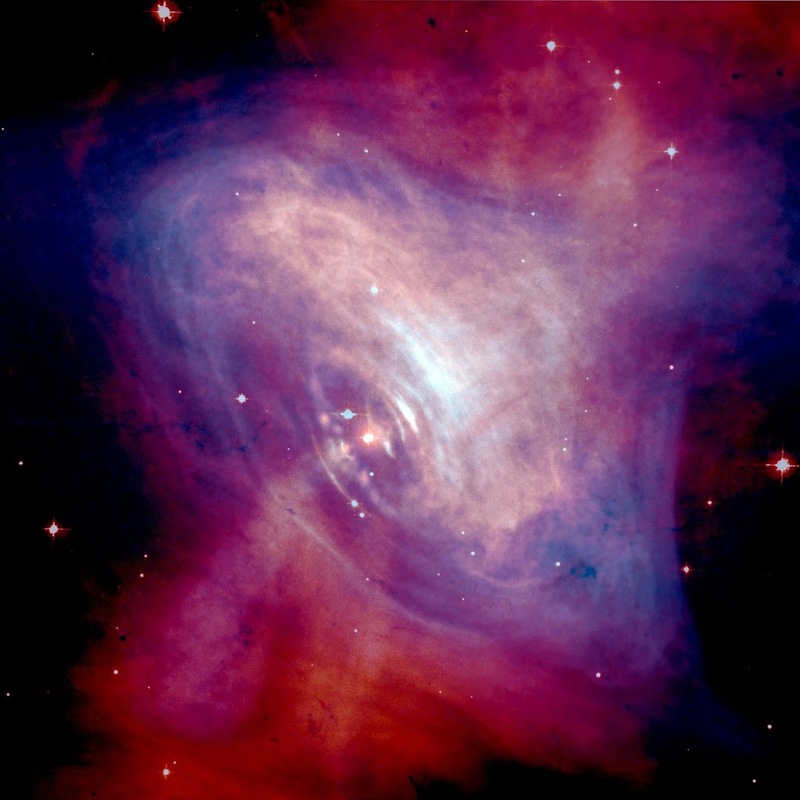 On November 28, 1967, Jocelyn Bell Burnell and Anthony Hewish discovered the first Pulsar, a fast rotating neutron star that emits a beam of electromagnetic radiation. The radiation of a pulsar can only be observed when the beam of emission is pointing toward the Earth, much the way a lighthouse can only be seen when the light is pointed in the direction of an observer, and is responsible for the pulsed appearance of emission. Bell Burnell was born on July 15, 1943, in Belfast, Northern Ireland. Her father was among the architects to design the Armagh Planetarium and it is believed that during visits she was encouraged by the staff to pursue astronomy professionally. She attended the University of Glasgow where she received a Bachelor of Science degree in 1965. Then she moved on to Churchill College at the University of Cambridge to continue her studies under Anthony Hewish. 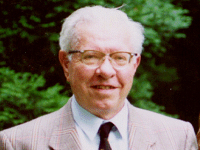 Bell Burnell obtained a PhD degree in 1969. At Cambridge, she began working together with Antony Hewish to construct the Interplanetary Scintillation Array to study quasars, which had recently been discovered. In 1967, Jocelyn Bell Burnell and Professor Antony Hewish began to analyse the results of the radio telescope, which they had put up to search for radio signals from quasars. Bell Burnell noticed pulses from the same location recurring in short periods, wherefore sources like regular stars could be excluded. Also, the pulses followed sidereal time, and therefore it was clear that these interferences could not have been man-made. Due to these facts, Bell Burnell and Hewish named the strange signal LGM-1 (Little Green Man), since they could neither prove nor disprove the signal’s source coming from an extraterrestrial civilization. After another pulsating source was discovered, both scientists abandoned the LGM-theory and the pulsar was later renamed into CP 1919. 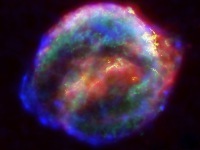 Hewish and Bell Burnell also described the pulsar being a “novel type between a white dwarf and a neutron”, which was supported by the astrophysicists Thomas Gold (a colleague of the famous Fred Hoyle) and Franco Pacini a year after its discovery. 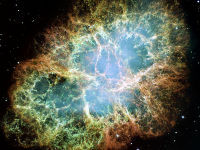 A composite image of the Crab Nebula showing the X-ray (blue), and optical (red) images superimposed. In the following years, further pulsars were detected. The discovery of a pulsar in a binary system in 1974 was special due to the fact that it provided evidence of the existence of gravitational waves with the help of Einstein’s theory of general relativity. Don Backer discovered almost a decade later a pulsar with an extraordinary short rotation period of only 1.6 milliseconds, wherefore the new class of millisecond pulsars was found. In contrast, a year earlier (1973) she had been awarded the Michelson Medal of the Franklin Institute in Philadelphia together with Hewish. Bell Burnell worked, after finishing her Ph.D degree at the University of Southhampton, at the University College London, the Royal Observatory of Edinburgh, and was highly active as a tutor and lecturer for the Open University. A member of the Royal Society since 2003, Bell Burnell was awarded the title of Dame Commander of the Order of the British Empire by Queen Elizabeth II in June 2007, elevating her to personal nobility. She later taught at Princeton University and became President of the Royal Astronomical Society. In 2018, Bell Burnell was awarded the Special Breakthrough Prize in Fundamental Physics which included a £2.3m prize money. She donated the prize to support women, ethnic minority, and refugee students become physics researchers. 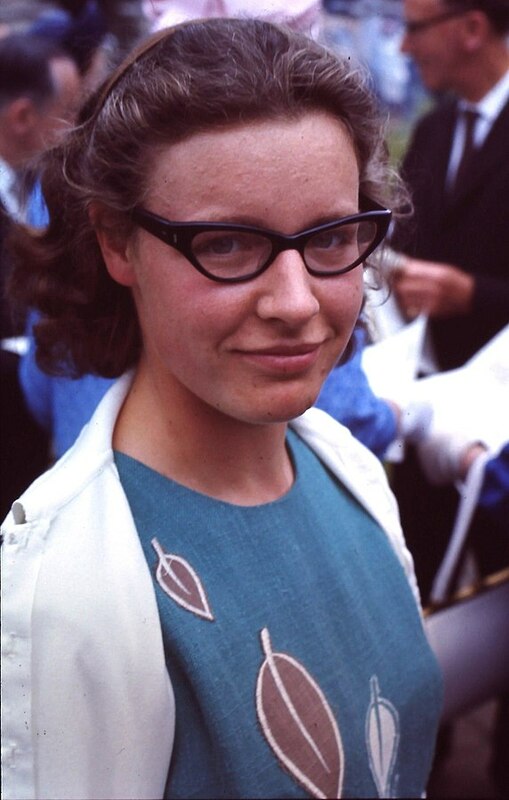 At yovisto academic video search you can watch Professor Dame Jocelyn Bell Burnell herself introducing the pulsing radio stars she discovered as a doctoral student.